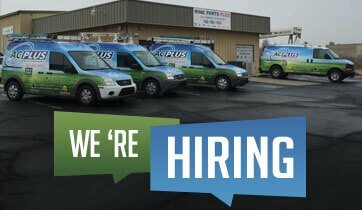 AC Plus is looking for 1 qualified Technician to add to the team. AC Plus is a tight knit family owned and operated Heating & Air business. Our employees become our family. We are currently looking for one person that has experience on the HVAC technical side. 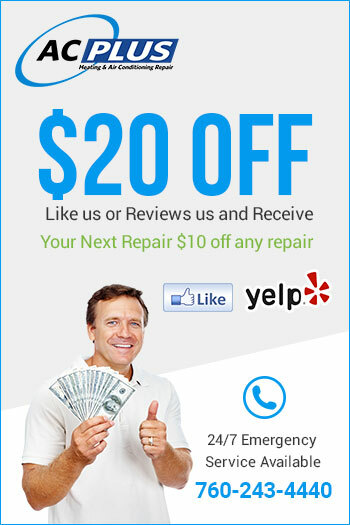 Need to be able to Diagnose & Repair HVAC equipment. Mainly residential but some light commercial as well. Must have Universal Certification with EPA & Minimum 1 Year Experience w/ HVAC repairs. Must be drug-free, loyal & dependable. Must have a great attitude & people skills. Must have a clean driving record & license. Anywhere from $16.00-$28.00 an hour with incentives. Pay will differ with experience. Position is FULL TIME. Job comes with your own work vehicle that you may take home. Comes with gas card as well. We are looking to hire right away. We are a family business with a very relaxed atmosphere. This is a very fun environment. Our employees become our family, thus we hardly ever hire or fire. Position will need to be filled before summer. Lots of overtime available all year long. Please bring in a resume to our office or come in and fill out an application. You will need to speak with Matt or Ron Postoian. Office is located at 14615 Palmdale Rd, Victorville CA, 92392. Please call Matt with any questions at 760-910-1394 or our office at 760-243-4440.